Our regular hours are 11 am to 5 pm on Saturdays and Sundays; other days we are available by appointment, please call at 760-788-4818. Occasionally we do have to close due to other personal commitments so we welcome your calls to confirm we are open. The 10 new wines include 2015 Grenqche Noir, 2015 Alicante Bouschet), 2015 Puppy Love (Grenache and Alicante Bouschet), 2015 Cabernet Franc, 2015 Eglantine (Meritage). Our 2017 Albarino was also released earlier in the year. 2012 Reserve Merlot – Double Gold Medal – 2016 Toast of the Coast, also BEST wine of Ramona Valley AVA in the competition, and BEST Merlot in competition. On a north facing hillside overlooking the Ramona Valley AVA sits Woof’n Rose Winery and its vineyards. Stephen and Marilyn Kahle own and operate the vineyard and winery with help from three sons and their respective families. The Kahles love of dogs, and rose bushes surrounding the winery, give a clue as to how aptly the winery is named. 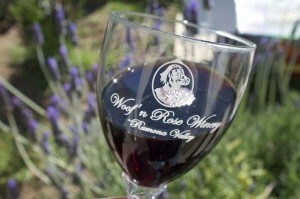 Woof’n Rose makes all of its wines from Ramona Valley grapes, most estate grown on premises. Annual production is 300 to 350 cases per year. The specialty is Cabernet Franc, but the small vineyards also include all of the other classic Bordeaux varietals, Cabernet Sauvignon, Merlot, Malbec, and Petit Verdot, as well as Grenache Noir and Alicante Bouschet; the wines reflect these varietals and blends comprised of them. 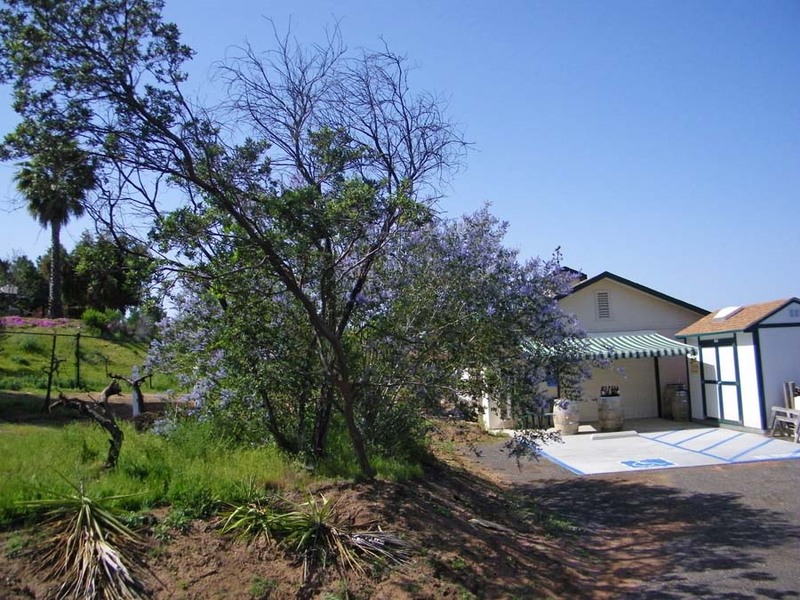 When you visit Woof’n Rose Winery for tasting you will sit on an outdoor veranda, overlooking the vineyards and the Ramona Valley, and will chat directly with the owners who double as grower, winemaker, and marketer. Time to kiss puppy noses!